Zynga employees were stuck with plummeting shares as their bosses cashed out and made millions. Things really haven't been going Zynga's way this month. 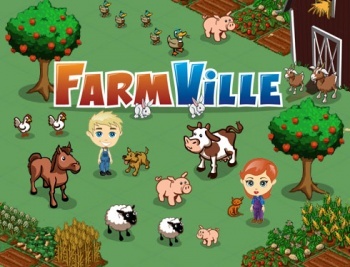 The Farmville maker saw its stock prices plummet just last week, followed by news that Zynga execs made a killing by selling their shares before the crash. That raised a few eyebrows, causing several law firms to investigate. Now one of them, Newman Ferrara, has filed a suit alleging that Zynga's top employees engaged in insider trading. Filed yesterday in San Francisco, the lawsuit states that top execs got underwriters Morgan Stanley and Goldman Sachs to waive the restriction period for selling their shares imposed on other employees. According to Ferrara attorney Roy Shimon, "Zynga's regular employees were still locked up from selling their shares. But the guys at the top, who saw what was coming down the pipe, got to cash out." Assuming the case proceeds, lawyers will need to determine how much Zynga execs knew about the stock implosion beforehand, because failing to share that information can result in insider trading. CEO Mark Pincus wouldn't answer questions about why he sold 16.5 million shares, from which he walked away with $200 million. His employees, however, were stuck with their shares until the lock-up ended on May 28, at which point the share price had dropped more than 50% to $6. Watching their bosses cash out while stock prices dropped was hard, according to an anonymous Zynga employee. "It's not easy for folks to see that the executive team were selling their shares while most people were still locked up." Since Newman Ferrara is one of five law firms that have announced their plans to investigate Zynga, the social game maker's legal troubles are only just beginning. If more firms move forward with suits, they will be competing for Zynga investors to be their clients, with the eventual lead plaintiff being the one who represents the biggest shareholders.